Super Kid Cannon is based on a simple love story in which, Super Kid Cannon, a heroic red panda, journeys through mystical and magical places to save his beloved Justine from the evil clutches of the despicable Kahn. It’s now up to Super Kid Cannon to rescue his love, and the affable red panda will stop at nothing to save her! 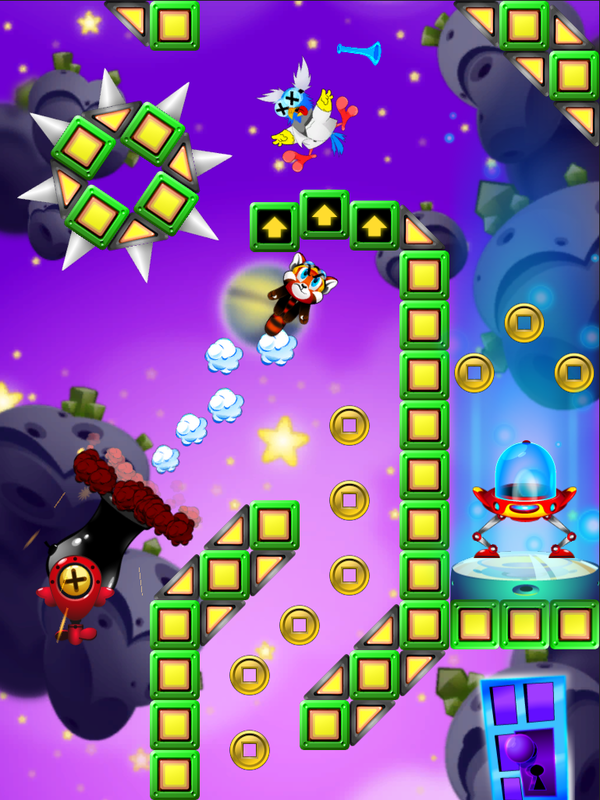 With beautifully rendered worlds and environments, Super Kid Cannon takes players on an exciting ride through hand-crafted levels featuring a variety of easy-to-play mechanics. Sounds like a great time to me. The game will launch in New Zealand this month and will be ready for international release in March. The game will be available for download at The App Store, Google Play, Amazon Apps, and the Windows Store. Sounds like you'll have no excuse to not download this game! As as an added bonus, Isai Oviedo at SkyJoy Interactive has agreed to come on our Get a Life Podcast to chat about Super Kid Cannon! Once the details are ironed out, I'll let everyone know on our facebook page. In the meantime, check out this exclusive trailer of Super Kid Cannon. Later!